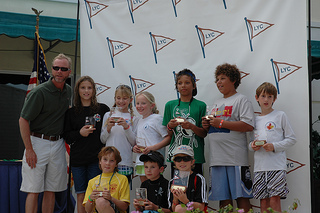 Check out our Summer SailCamp and Race Team videos. This one takes a few moments to start - so please wait for it. Halifax Youth Sailing, Inc., is a 501(c)(3) non-profit organization dedicated to teaching sailing to the kids of Volusia & Flagler counties. Students from 8 to 21 are welcome to join us and learn the basics of sailing. Our instructors are US Sailing Certified and use the latest in educational materials and techniques. Our instructors receive a background check from NCSI, the leader in youth-related adult screening to ensure your child's safety. 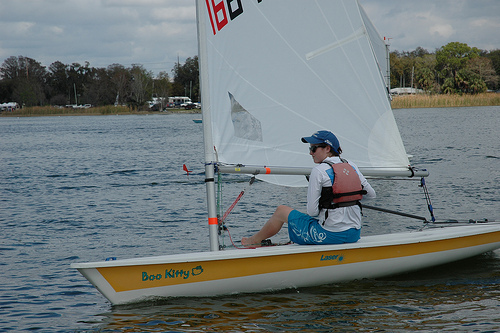 HYS is an affiliate of Sailing Center, Inc., located in Daytona Beach, Florida. Chartered in 2008, HYS members have many years of practical experience in mono and multihulls from 8 feet to 30 feet. Nothing builds confidence in a kid like learning to captain their own boat, taking complete responsibility for everything that happens.